Serving Columbia, MO and the surrounding area we have earned a good reputation. 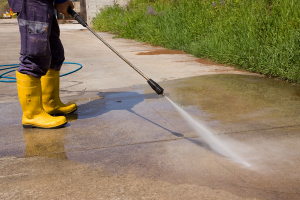 Our clients trust our expertise and knowledge about power washing and cleaning services. They know that we work hard to provide them with a superior job. Knowing what our clients need and want, we get the job done to their satisfaction. Check our references and reputation. Call us to provide a complimentary visit and a free estimate. We are available within a short timeframe, and when possible, we arrive the same day that you call our office. We offer a variety of power washing services. Our commercial power washing and cleaning services are top-notch. We use skilled technicians and state-of-the-art power washing and cleaning equipment to quickly clean any type of surface. No job is too small or too big for us. We will review the job site and quickly provide a fair estimate for the scope of the job. We review the agreed upon scope with each commercial client. Before the job is started, we provide a written estimate. We stick with our estimates and complete the job to the client’s satisfaction. Our eco-friendly cleaning solutions provide a safe alternative for our clients. Our list of services includes parking garage power washing, driveway power washing, restaurant, and building power washing, and oil cleanup service. We can remove tough stains from driveways and sidewalks to make your driveway look like new again. Gone will be the dirt, mold, mildew, and ugly stains. Your building will look clean and welcoming to your customers. We can show you examples of completed jobs with before and after photos along with satisfied customer reviews. Once that old grime has been washed away, the result is a freshly cleaned surface. The difference is astounding between the old and the new. You will be amazed at the difference between that old dingy looking building and the new freshly pressure washed appearance of your building. Your customers will notice it, too. Before you decide to invest funds to remodel your commercial building, think about power washing the brick and the siding of your building. Make your commercial building look new by spraying the building to remove stains and mildew that build up over time. Before you repaint your building, first, spray the surface to remove the layers of dirt and grime. Allow the surface to dry for a few days before you apply paint to the building’s surface. 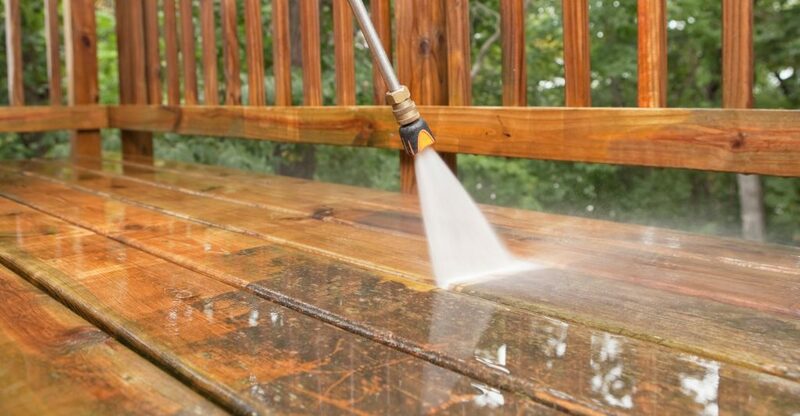 The residential cleaning services that we provide are power washing for your house, deck, patio, garage, and driveway. We offer concrete cleaning and gutter and downspout cleaning and power washing. 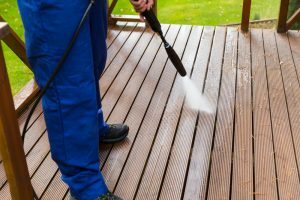 Make your deck and patio look like new again by using our eco-friendly power washing solution to wash away years of dirt, grime, mold, and mildew. Your concrete driveway, sidewalk, and deck will look clean and bright. For improved curb appeal, call us and let us power wash the siding and brick on your house. Imagine a house with no mold and dirt on the siding. Power washing your home will make it shine like a “bright new penny”. If you are tired of clogged gutter and downspouts and their mold covered surface, let us power wash your gutters and down spouts. Gutters cleaned inside and outside will last longer. We offer seasonal promotions and discounts for repeat customers. If you are planning a party, greet your guests with an entrance way that is pleasant and clean. Call us today and we will quickly arrive to power wash your home’s exterior. When they arrive at your home, your guests will notice how wonderful your home looks. For a small investment, you will appreciate the improved value of your property.